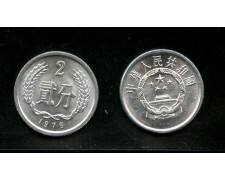 1976 CINA - 2 Fen alluminio (Cat. 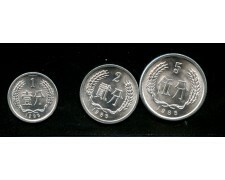 World Coins N° KM 2) Fior di Conio. 1985 CINA - 1/2/5 Fen alluminio -(Cat. 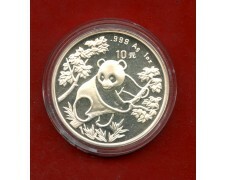 World Coins N° KM.1/2/3) Conservazione Fior di Conio.